especially one of such fantastic quality and workmanship. This violin was made by Charles Thouvenot for J&A Beare around 1910. Thouvenot was one of a number of French violin and bow makers who made for Beare’s around the beginning of the 20th century. Not a lot is known about Thouvenot. He certainly worked in London for W.E. Hill and Sons and then for Beare’s, but it is thought that many of his instruments were sold bearing the name of the shop rather than of Thouvenot himself, hence there are not many instruments known definitively to be by him. 4/4 English Violin by Charles Thouvenot for J&A Beare, c.1910, unlabelled. 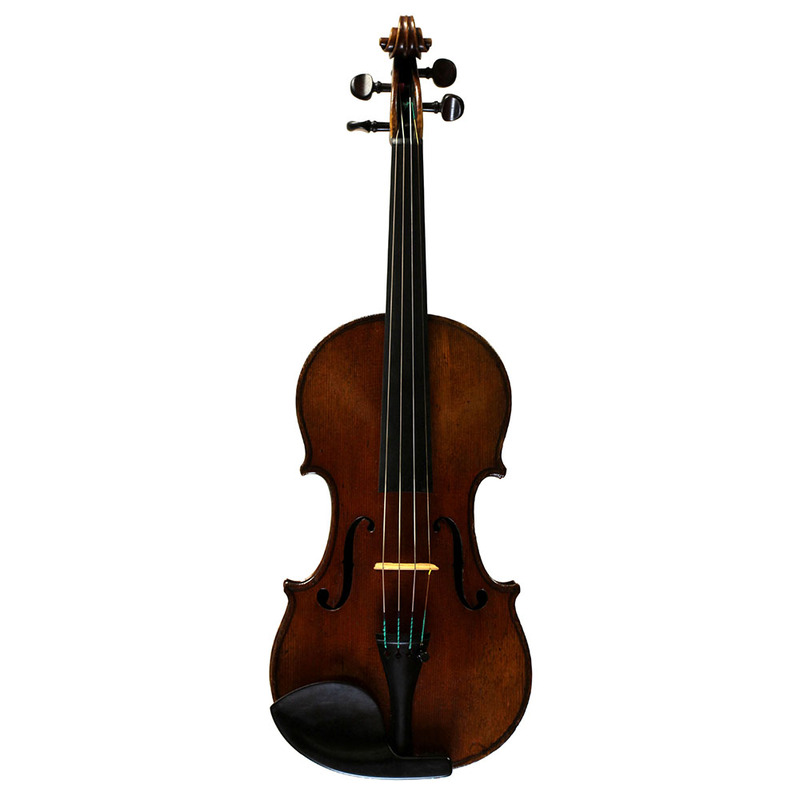 This violin has fantastic warmth to the sound, with clarity of tone and a lot of power. It would be perfectly suited to any serious student or professional alike. 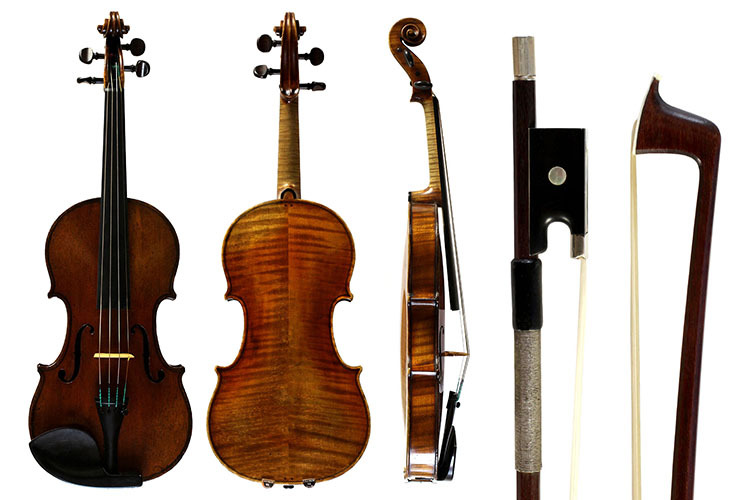 It’s always interesting to put instruments and bows with similar origins together. Next to the Thouvenot violin we have a very fine violin bow probably by Claude Thomassin, stamped J&A Beare, and probably dating from around the same time as the Thouvenot violin. Both makers trained at the famous Mirecourt School in France. After his time at Mirecourt, Thomassin worked for Caressa et Francais before establishing his own business in 1901. Thomassin didn’t directly work for Beare’s, but Beare’s probably commissioned Thomassin to make a number of bows with their stamp. 4/4 English Violin Bow probably by Claude Thomassin and stamped “John & Arthur Beare”. The bow is beautifully balanced and perfectly complements an instrument of this calibre.